How does invoice factoring compare to an accounts receivable line of credit? An accounts receivable line of credit and a non-recourse invoice factoring line both provide business financing by converting accounts receivable to cash. An AR line of credit is a loan secured by accounts receivable as collateral, whereas non-recourse invoice factoring is an outright purchase of accounts receivable for cash. 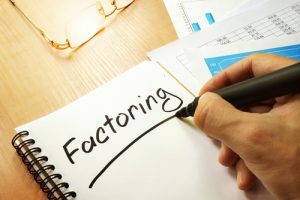 In a non-recourse invoice factoring line, the factoring company bills the client’s customer directly, and secures its position by the customer’s credit rather than that of the client. A full-service factoring company provides credit services and accounts receivable management in addition to business financing. Our services include new customer credit reviews, invoice processing, and collection services. The invoice factoring company is typically more involved with the accounts receivable, it usually makes more cash flow available to the client business. Because of the higher risk and higher level of services, the cost of non-recourse invoice factoring is generally higher than that of an accounts receivable line of credit. For information on factoring your invoices, click here and fill out the simple form and we’ll take it from there! 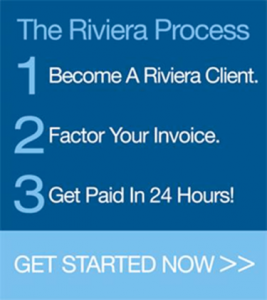 Find out more about non-recourse invoice factoring with Riviera Finance. As an alternative to an accounts receivable line of credit, it’s a great form of business financing without debt and without the need for extensive business history. Over 10,000 companies have turned to Riviera Finance for their working capital needs.